You could say I’m a little Holiday obsessive.. I just love traditions so much!! Add in decorating and I’m all in! It can be easy to skip over these types of things when you are constantly in a transient state like we are but I find that I feel so much more “at home” when I take the time to do things like decorate! 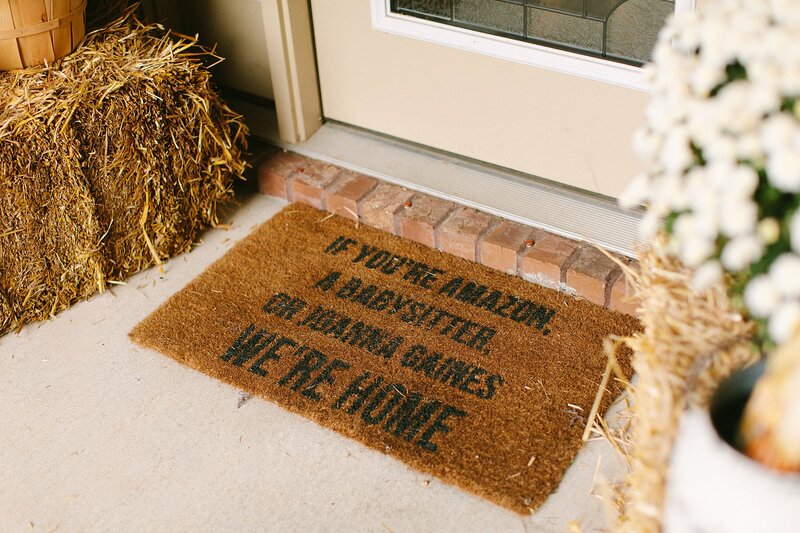 The front door is the first thing someone sees when they come to your house, so might as well go all out! 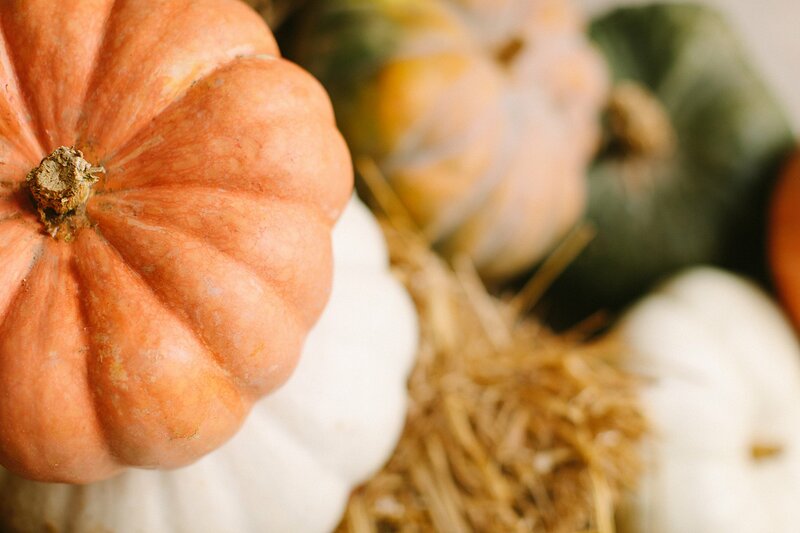 Heirloom pumpkins are my jam and I was a little bummed when I realized pumpkins don’t grow in Florida! They are brought in from other states! Our first pumpkin patch had nothing but regular ole’ round orange ones! I made it my mission to find white and green ones! I hit the jackpot at a local farmer’s market!! And we found the straw bails at a corner gas station (oh to live in a small town lol). 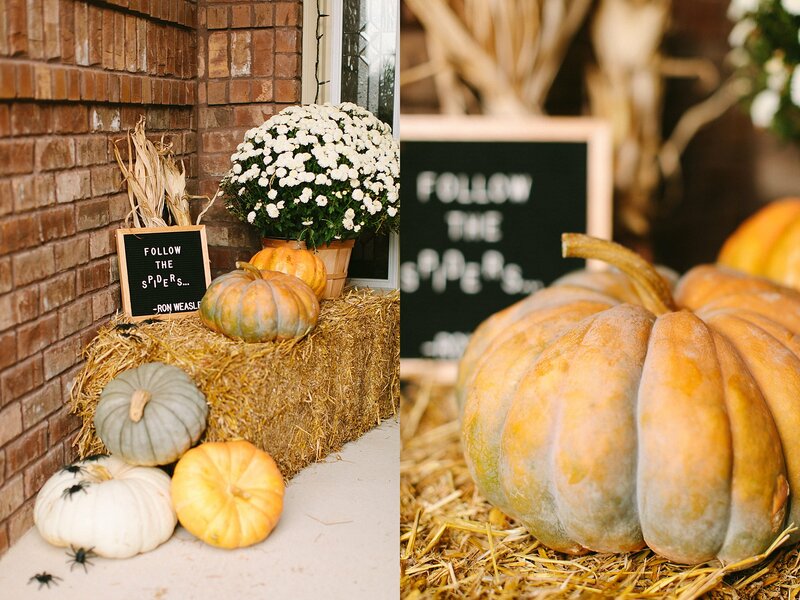 I’m excited to change some things out now that Halloween is over and I really want to make a DIY “welcome” sign.. the double sided ones.. have you seen those?? 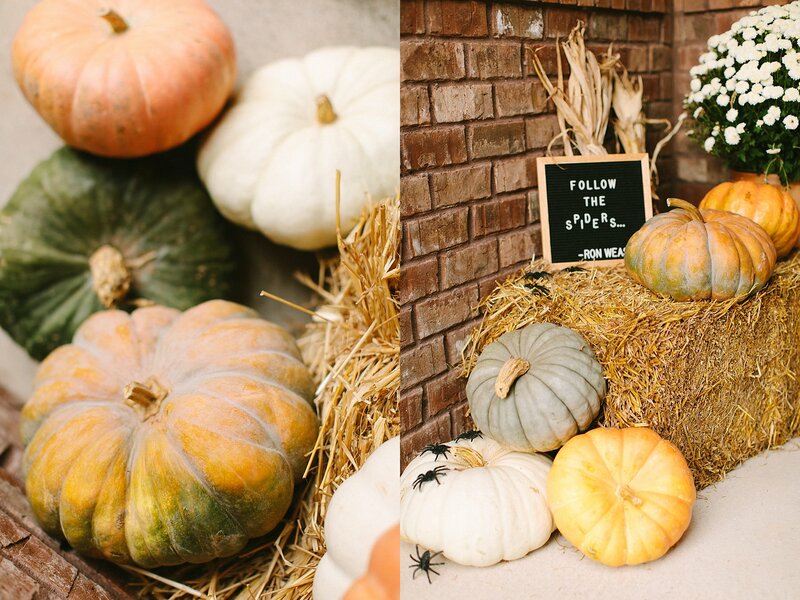 Tips for decorating your porch!! Make sure you use a proportionate number of items! This is the biggest mistake I see!! 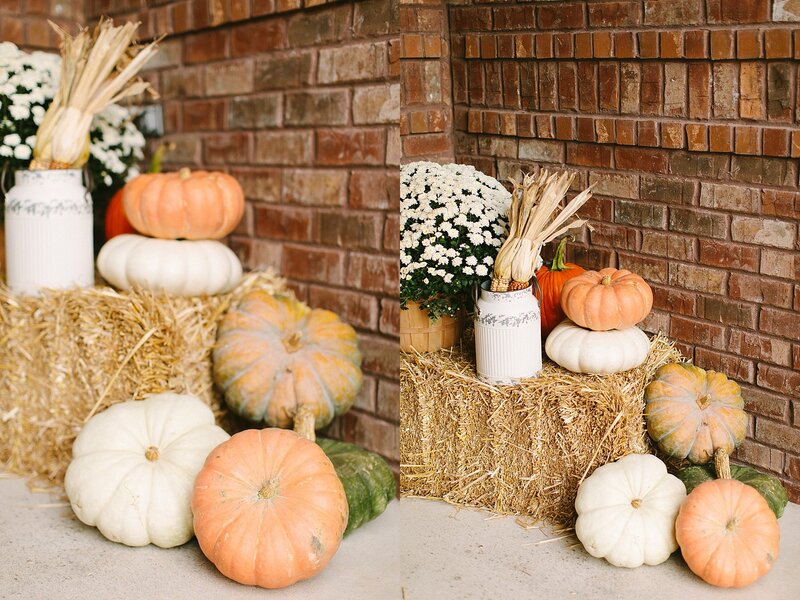 If you have a large porch, you’ll need more straw/more pumpkins, etc. Sources and more info at the end of the post! 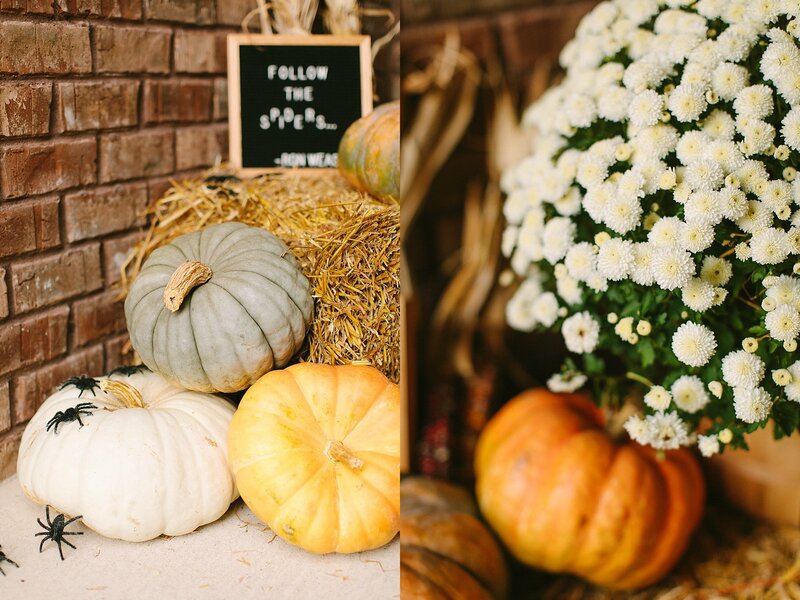 What is your favorite part of decorating in the Fall? Letterboard // Doormat // White container & baskets for mums are from Hobby Lobby!